» Percent species cover from 14 flux canopy and 19 point frame 1m x 1m plots sampled near the shrub LTER sites at Toolik Field Station, Alaska, summer 2012. 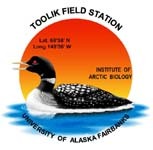 Total and individual subsample species percent cover data for all plots where flux or point frame measurements were made in 2012 IVO the LTER Shrub vegetation plots at Toolik Field Station. All plots sampled were dominated either by B. nana or S. pulchra canopies. Locations were preferentially chosen to represent tall shrub canopies (height &gt; 70 cm) and to avoid the edge of vegetation stands or locations where the canopy appeared unhealthy, trampled, or patchy. Each spp is assigned a 6 letter code; the first 3 letters of genus and species name. SPP indicates the species is not known. Where many graminoids were growing together it was often impossible to judge the individual percentages, so only the total for the growth form is given; the main species present are listed in the notes column. #N/A refers to a value that was not recorded. Version 3: Updated metadata to newer version (with sites sheet). CH April 2013.